If you are looking into Medical Assisting as a potential career, you may be wondering if formal training is necessary since a license isn’t required to work in the field. While formal training is not always required, a certification, diploma, or associate’s degree will increase your chances of being hired. Additionally, your chances are greater if you have completed a Medical Assisting program. 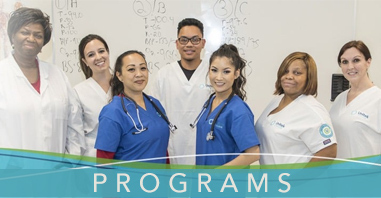 Unitek College maintains a Medical Assistant program in Sacramento that will provide you with excellent academic and technical training to help position you for the job you want after graduation. The program will also help launch a long-term career in the healthcare field. Unitek’s MA program has a speedy timetable, which is great news for individuals who would like to have a career that doesn’t require years of schooling. In fact, Medical Assisting is one of the only healthcare careers that allows for hands-on patient contact but does not require an advanced degree. If you are looking for Medical Assistant programs in Sacramento, we hope you’ll consider Unitek College. You may be wondering, what does a Medical Assisting career have to offer? For one, Medical Assisting career and other healthcare careers are in high demand right now. They’re expected to grow due to the large number of baby boomers heading toward retirement. If stability in a career is important to you, you can rest assured that, as a Medical Assistant, your job will not be going anywhere. Additionally, if professional growth is important to you, Medical Assisting offers plenty of opportunities for advancement. Completing a Medical Assisting program will increase your chances for advancement, which will offer greater personal challenges and a higher salary. Medical Assisting provides “hands on” contact with patients as well as administrative duties. Exposure to both the “patient-facing” side of healthcare and the administrative side will allow you to make a more informed decision about your future career plans. It is not uncommon for a Medical Assistant who enjoys the administrative side to advance to an office manager position, and for a Medical Assistant who enjoys interacting with patients to pursue a career in nursing. 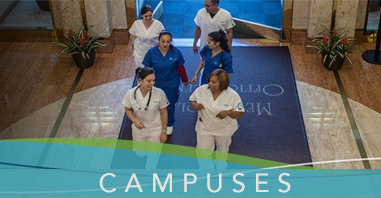 If you want opportunities for advancement, a Medical Assisting career may meet your needs. Medical Assisting offers personal fulfillment and satisfaction. It will give you the chance to make real relationships with members of your community. At Unitek College, we strive to provide you with the skills you’ll need to thrive as a Medical Assistant.